Home Horse Racing Do you think punters get a fair go? Do you think punters get a fair go? The horse racing industry exists because of the gambling dollar. Punting is the lifeblood of the industry so when the very people who fund this game continually get treated as third class citizens it’s time to put a few issues on the table. Do you think it’s fair to punters to announce a change of tactics 5 minutes before the jump? I could cite plenty of examples of very late notification, but Iridescente at Sandown Hillside this week will do just as fine. She had settled 1st or 2nd at her last six runs and with the two drawn inside her today (and one immediately to her outside) having no tactical speed whatsoever, most speed maps had Iridescente getting a comfortable lead and she was the favourite for the race. Well at exactly 2:25pm, five minutes before the start of the race which also happened to be the first leg of the quaddie, it was announced that Iridescente was going to be ridden more quietly. Now I am not going to question Anthony Freedman’s tactics, but the timing of this information being made available to punters was simply not good enough. I’m not sure if this is due to complacency or incompetence, but either way the fact is it happens far too often and it’s a raw deal for punters. Do you think it’s right to put just a handful of owners ahead of thousands of punters? To 99% of people involved in the industry it seems ridiculous that unraced 2 year-olds don’t have to trial in public prior to being allowed to race in Victoria. But somehow the 1% hold sway and refuse to budge in the face of overwhelming evidence that interest and betting levels are badly affected when a horse has literally no exposed form and punters can either guess or sit out. How about this for a radical idea? Let’s trial trials and for the next racing season don’t allow a horse to race unless they have had an official trial. For that 12 month period we can see what that does to betting turnover on those races. If it doesn’t have the substantial improvement almost everyone expects, then we just go back to the old way where owners do what they want. Is that too much to ask? Do you think we can get overall and sectional times that are actually accurate? Every race, every day is wrong. It’s just a matter of by how much. 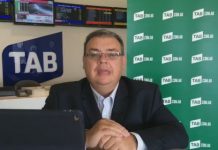 Vince Accardi of Daily Sectionals has proven this to various state racing bodies and while all understand the problem, only a few are actually doing something about it. 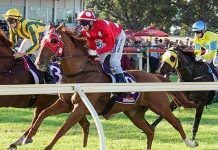 Samui Lad’s win at last Saturday’s stand alone Hawkesbury meeting is an example of how punters can be misled. The difference between the official time and the actual time was 1.04 seconds which is greater than six lengths. There was not a single race at Hawkesbury that was within even 1 length of the actual time. Punters deserve better. Do you think it’s right that corporate bookies don’t have to take a bet? 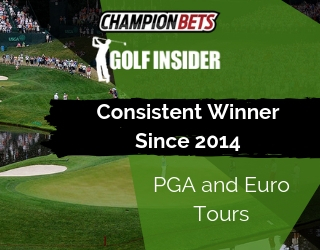 On-course bookies have to take bets of a certain size or hand back their licence, whereas these corporate behemoths with multi-million dollar marketing budgets can cut off anyone they like as soon as they like. The funny thing is you don’t even have to be a winner. If your betting activity falls foul of their ‘find-anyone-who-has-a-clue-and-ban-them’ algorithm you are a goner. 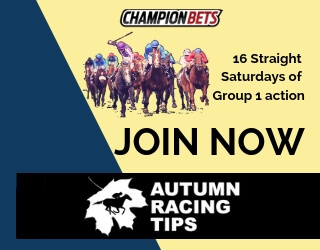 For the corporates it is a race to the bottom where they only want to deal with losing punters and refuse to believe that using winning information can actually benefit their business. This situation is only getting worse and without any kind of regulation it’s unlikely to change any time soon. 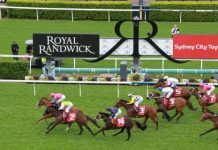 Do you think the Racing NSW win is actually good for the industry? 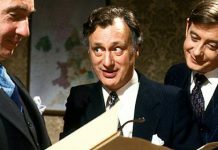 V’Landy’s and co made the most of their court victory but anyone who understands punting won’t be celebrating too hard. The Betfair model is not sustainable in its current form and there aren’t many businesses that will continue operating if they can’t make a profit. A betting exchange has punters and traders betting against each other with high turnover but in some cases little or no gross profit. 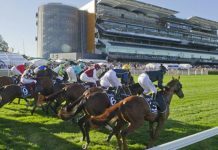 Under the new 1.5% of turnover model it is possible for two punters betting against each other to turn over $1m, with both breaking even, but Betfair has to cough up $15,000 to the racing industry. Or a punter betting $1000 at $1.01 will win $10, yet Betfair pays tax of $15 on this bet. Betfair creates new money in the market and produces a more competitive marketplace, but the court decision means that racing is now a more expensive product and is likely to slowly but surely lose market share to sports betting and other more cost-effective alternatives. Do you think we can get a national tote pool in our lifetimes? If we can have Hong Kong and Singapore bet into our pools do you reckon we can get the three totes together in our own country? It’s a simple request but one I understand has some complex aspects that would take time to resolve. Well I believe that anything that is really worth doing is difficult so the fact that this project would take a lot of work and require interstate co-operation for a common goal is no excuse. Surely our smartest minds can get together and manage a 12-18 month project to make it happen. Do you think I’m being unreasonable? 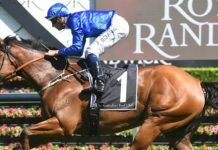 By nature I am a very positive person and it wasn’t so long ago that I wrote a post outlining a number of reasons why punters have never had it better. But there are so many areas we could, no make that should, improve if we really want racing to thrive. As well as the above I’d also ask if you think we can work towards a track rating system that is a more accurate guide? Do you think it’s fair that breeders basically get a free ride even when selling for hundreds of thousands or even millions of dollars? Do you think we really need four racing channels on pay TV? Do you think race clubs should actually employ someone who has the dedicated role of attracting punters? Everything in the racing industry starts and finishes with the punter, but do you think he’s getting a fair go?